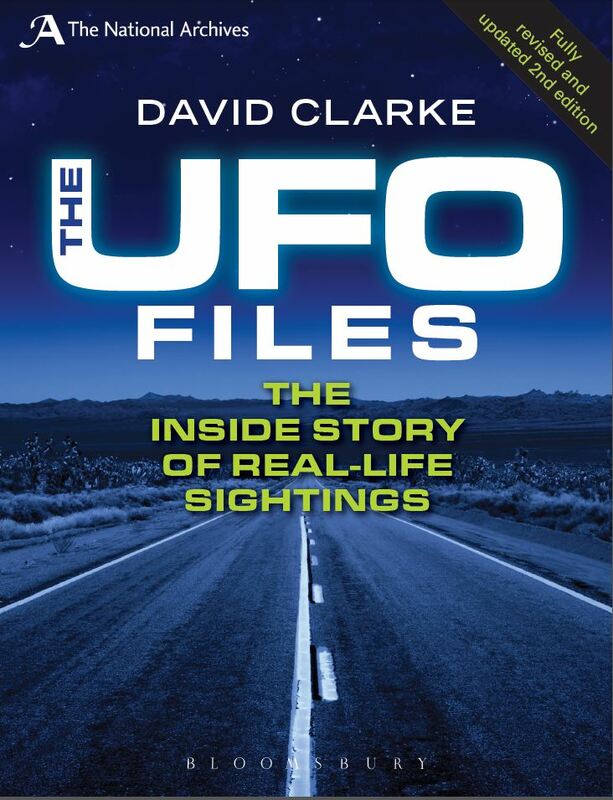 The second edition of The UFO files will be published by Bloomsbury on 13 September 2012. Copies can be ordered directly from TNA bookshop or from Amazon here. A sample section from Chapter 2 of the first edition can be downloaded free of charge from the TNA website UFO page. ‘What does all this stuff about flying saucers amount to? What can it mean? What is the truth?’ Winston Churchill, 28 July 1952. They were referred to as ‘the Real X-Files’ and for decades they were kept locked in the archives of Britain’s Ministry of Defence. But since the arrival of Freedom of Information more than 50,000 pages of documentation on UFOs have been released to The National Archives. Journalist David Clarke led the campaign for the disclosure of the files and as the consultant for The National Archives UFO Project, he has had unique access to both the files and many of those who were responsible for UFO investigations at the MoD and RAF. This fully revised and expanded edition is the first comprehensive history of the MoD’s UFO investigation unit. Although official investigations began in the 1950s when Winston Churchill demanded to know ‘the truth’ about UFOs, this book reveals official interest stretched back to before the First World War. Alongside extraordinary sightings by ordinary people The UFO Files also includes accounts of close encounters reported by civilian aircrew and military personnel, mysterious phenomena seen on radar and related mysteries such as ‘crop circles’. The stories are brought to life by dramatic witness statements from the files, supplemented by interviews – many undertaken by the author himself – and rarely seen photographs, drawings and newly available documents, to offer a unique guide to one of our most intriguing and modern mysteries.